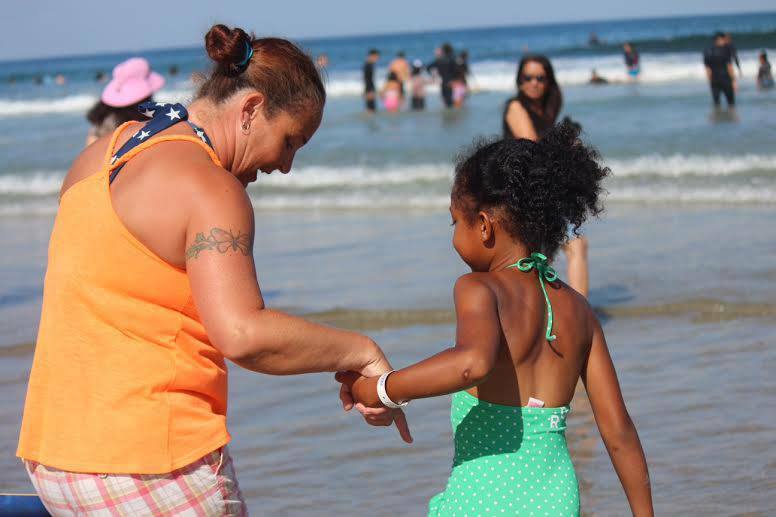 This August, 33 children and teens from the Village and Toussaint Academy were welcomed at La Jolla Shores with cheers and high-fives from volunteer surfers and their families – all eager to make each child feel special and important. This was the 30th Annual Day at the Beach put on by the Wind-n-Sea surf club. 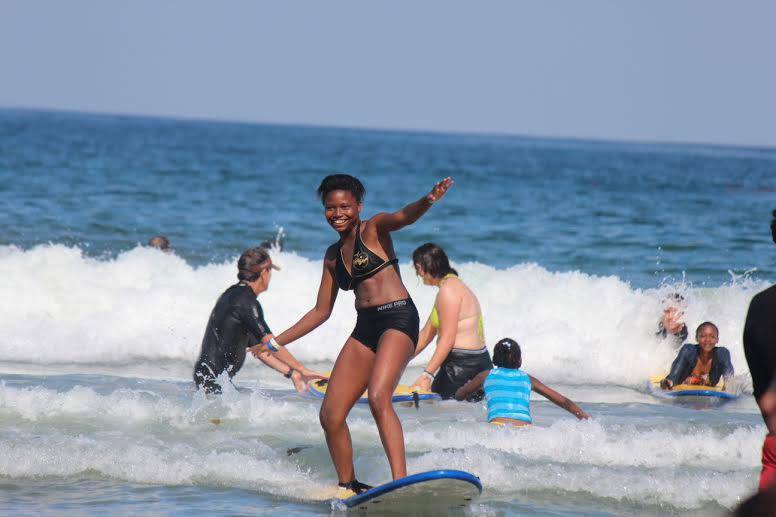 Surfers took the kids on boards as they braved the cold water with smiles, laughs and determination. By the end of the day, several kids stood up on their boards as they rode waves toward the cheers of spectators on the shoreline – all amazed at how quickly the kids mastered surfing. 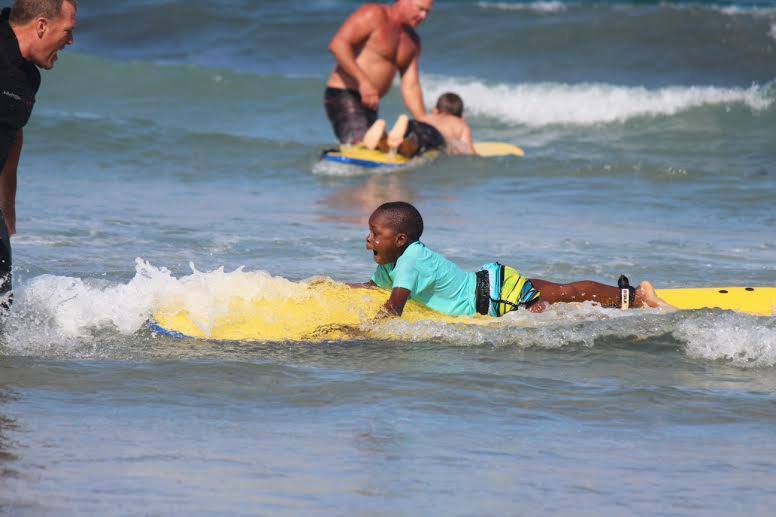 While many of the children spent the day tirelessly working to learn to surf, others paused to dig in the sand and build sand castles with their personal “surfer buddies” for the day. It was a spectacular day full of food, attention and love – just what every kid needs. The newly-minted surfers returned to the Village with their arms full with bags, shirts, poster, gifts and a bit of candy. Feeling celebrated and important, they walked away with memories to last a lifetime. Thank you to the amazing Wind-n-Sea volunteers for the unforgettable day and an exceptional experience.